Matheny Endurance is focused on improving performance in all athletes with coaching, camps, wellness, testing, consulting & race tactics based in science that relate to real-world application. Daniel Matheny based in Colorado Springs, CO brings experience from regional grassroots to the elite international level. Now coaching since 2004 and operating as a USA Cycling Level 1 Elite Coach, UCI Director Sportif, & National Strength and Conditioning Specialist (NSCA) - Certified Strength & Conditioning Specialist (CSCS) his career highlights Coaching & Directing a Individual GC yellow jersey & team GC win in UCI 2.1 race, multiple USA National Champions, multiple World Cup qualification & advancing student-athletes to scholarship college athletes. 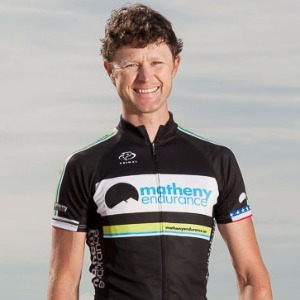 As a Professionally licensed athlete in multiple disciplines since 2003, he holds a 24 Hour Mountain Bike National Champion, 2x Leadville 100 “Big Buckle” finisher, Leadville Silver Rush 50 winner, Breckenridge 68 winner, top 10 GC finish in UCI Intl stage race, top 10 DirtyKanza200 finish, multiple Pro Enduro and even multisport/running podiums. Daniel's coaching philosophy is anchored to battling it out in the trenches competing as an athlete while correlating science to real-life application individualized for each athlete. Find out more by contacting him today! Success. Coach Daniel Matheny has been notified of your message. To hire Daniel Matheny as your coach, select the coaching service that is right for you.